Large Scale Central - Advanced Forum Detail Topic - Anybody know where I can get code 250 aluminum track and turns? Topic: Anybody know where I can get code 250 aluminum track and turns? I want to replace the Gargraves track I used in my mountain freight yard, but I don't want to spend a fortune right now. I'd like to get the code 250 (or is 225? I'm not sure), which is lighter than the regular code 335 on the mainline..the lighter look and feel in the yard is what I'm after. Turns out the Gargraves is too flimsy and the switches are worse than Aristocraft. Switchcrafters has 250 aluminum rail, either un-weathered or weathered. I just bought a #6 fully-assembled and two #6 kits from Switchcrafters (by way of Bob Ferguson at Garden Railroad Supply Co.). Good product, good service, good all-around. I also bought 250 aluminum rail in the same manner a few years back and some accessories directly from Bruce. Thanks men, I'm getting there and I appreciate the responses. 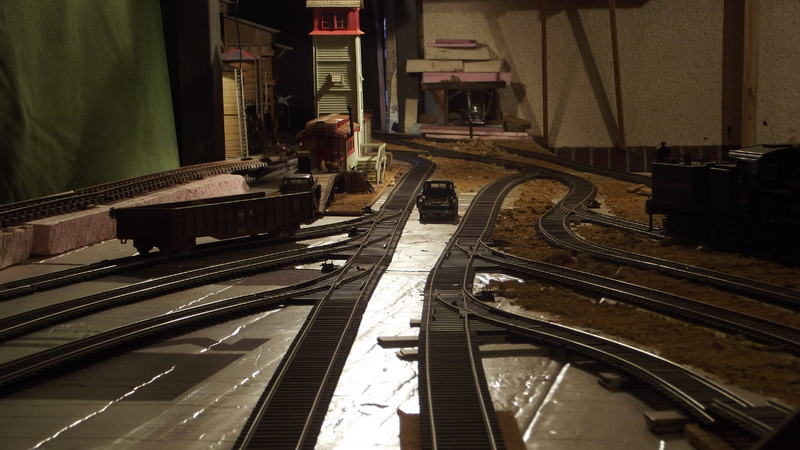 Life has gotten in the way on model railroading lately...but at least I might have some money for RR stuff! but at least I might have some money for RR stuff!